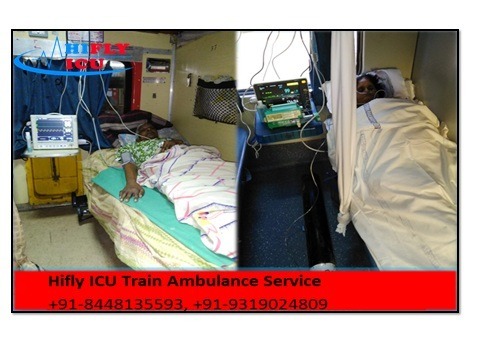 Hilfy ICU provides ICU Train Ambulance Service in Mumbai with completes medical facilities at a very affordable price. We provide emergency patients sifting service with an experienced medical team and Portable power supply and many more facilities. Hifly ICU arranges an emergency ICU Train Ambulance in Mumbai to Delhi, Patna, Kolkata and Varanasi to all over India with ICU and CCU service. Contact us for ICU train ambulance service.